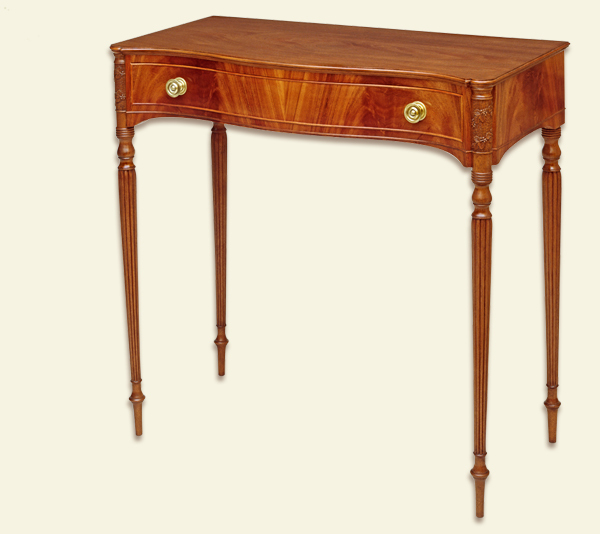 This table is an amalgam of some of the finest small tables built in the Boston area during the Federal Period. It fits especially well in a foyer or at the end of a hallway. Crotch mahogany veneer carefully cut in sequence from the same log covers a solid mahogany core to make the front, sides and back. "Maker of handcrafted antique reproductions and custom furniture inspired by the finest works of the past three centuries"